Lock in a great price for Luis – rated 8 by recent guests! 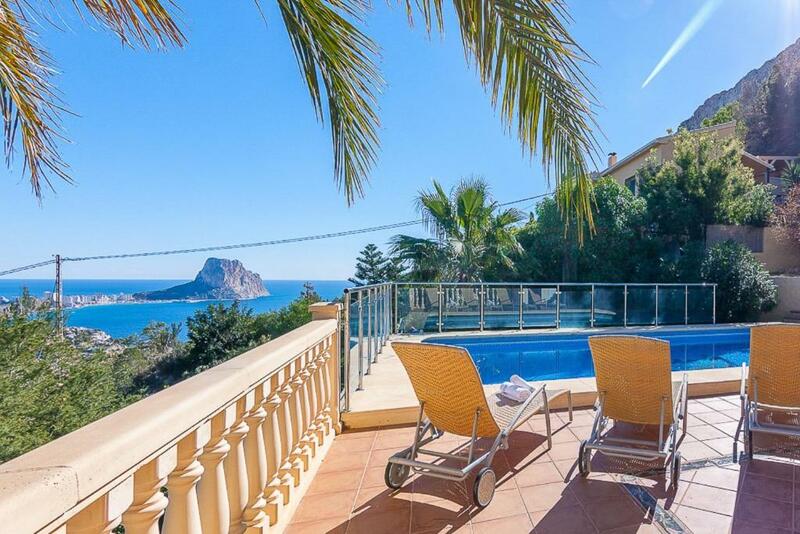 Featuring an outdoor pool, sun terrace with sea views, terrace with sofa, covered dining terrace, and built-in BBQ, Luis is located beside Morro de Toix Beach. This air-conditioned villa has 3 double bedrooms, 2 twin bedrooms, and 4 bathrooms with showers, 3 of which are ensuite. 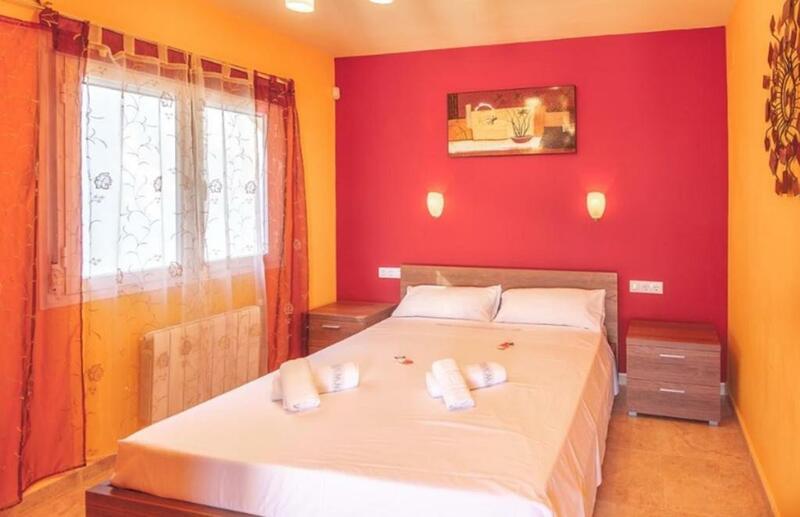 The kitchen is equipped with a gas hob, electric oven, microwave, dishwasher, and coffee machine, while the living area has sofas and a satellite TV. 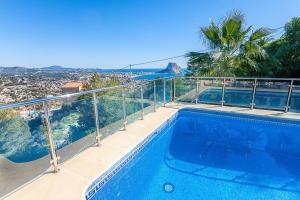 You can drive to Calpe in about 10 minutes, where there are restaurants, bars and supermarkets. Alicante Airport is 49 mi away. 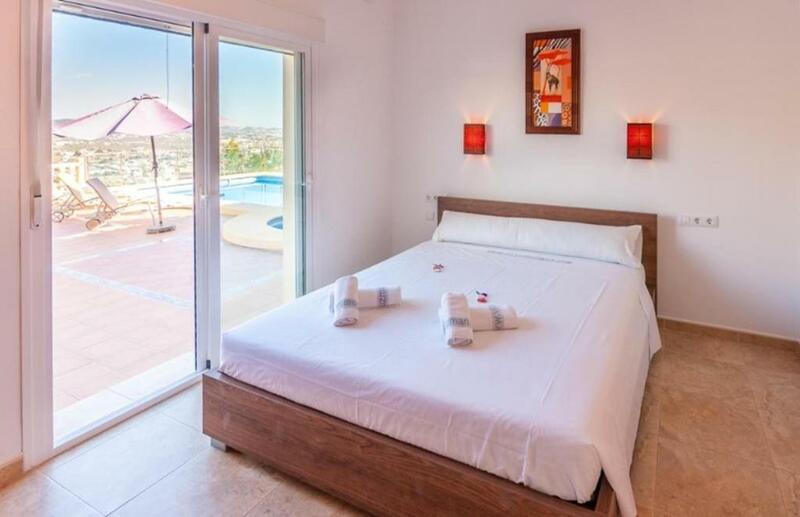 When would you like to stay at Luis? 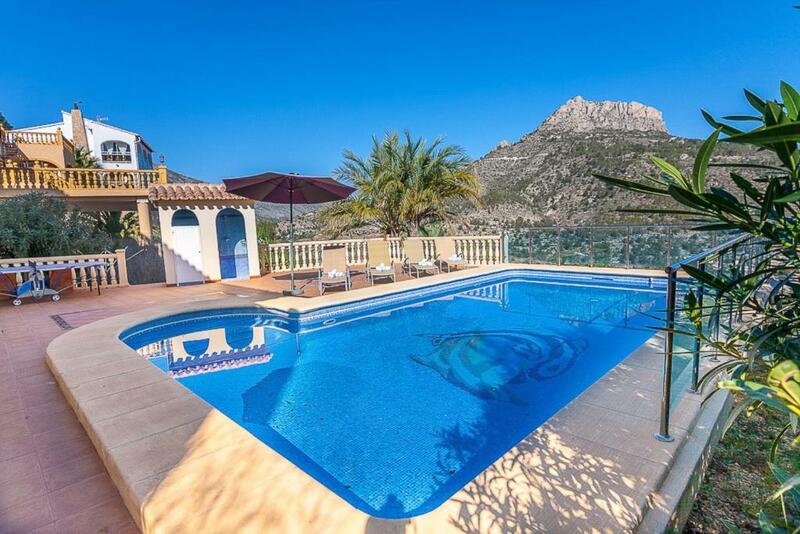 This villa features a washing machine, kitchenware and tumble dryer. House Rules Luis takes special requests – add in the next step! Luis accepts these cards and reserves the right to temporarily hold an amount prior to arrival. Please note that from 15 June to 30 September air conditioning carries a mandatory surcharge of EUR 10 per day. Please note that from 15 October to 23 April heating carries a mandatory surcharge of EUR 10 per day. There no bar or shop within walking distance. There are a couple of restaurants but they aren't open in the winter and it's a bit of a hike to get to them (uphill all the way back). More twin rooms would have been good for us instead of doubles but we were an all male climbing group. Better hot water heater would be good as the showers sometimes ran cold when all of them were in use. The villa has superb views over Calpe. There are several excellent sunny and sheltered sport climbing crags within walking distance. There were plenty of shower rooms for the whole group. The heating was handy as it's chilly in the evenings in February. The gas bottle needed changing over on our first day. Other reviews said the heating didn't work. I can only assume they didn't ask the rental company to fix it. It only took them 10 minutes! 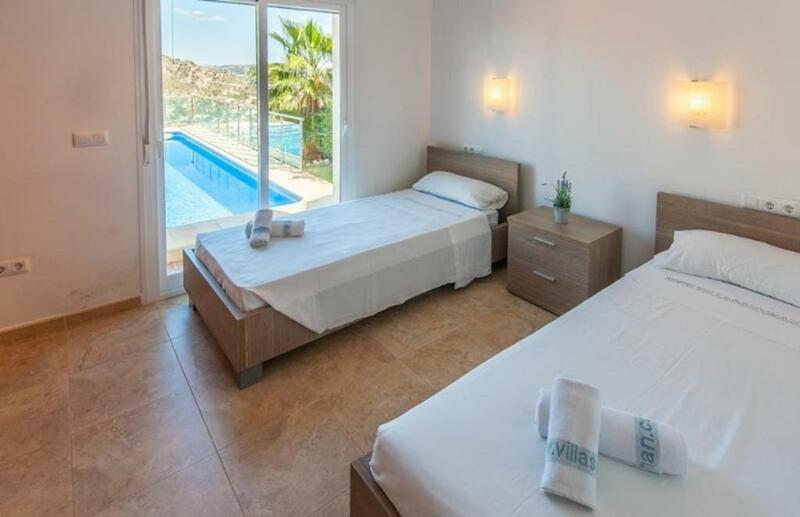 Villa is amazing! 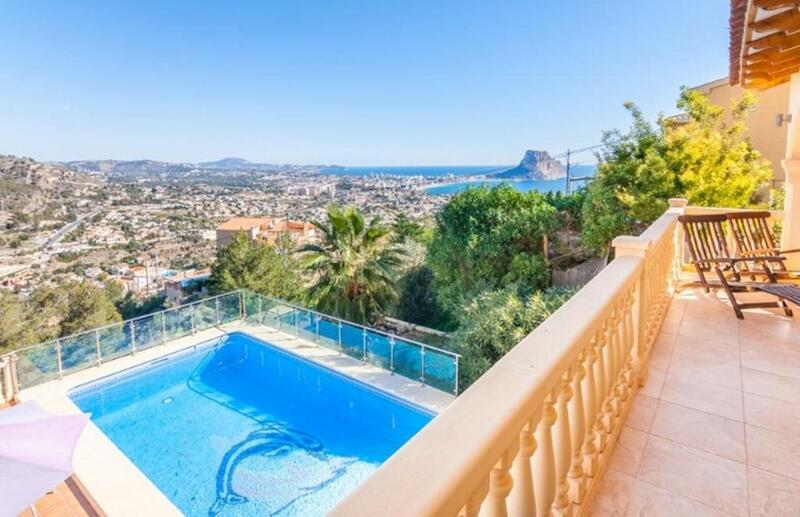 It's all about the view from villa to Calpe and Ifach. Definitely recommend to everyone!